History is said to be written by the victors. It could be argued this applies to fashion history, as well. While some pieces have been relegated to permanent obscurity (we’re looking at you, leisure suits and acid-wash jeans), others have endured and exist in the rarefied air of “the classics.” Enter the Number One Sack Suit. The dawn of the twentieth century ushered in a new era of menswear. Gone were the tailcoats and ostentation of previous eras. In their place, the No. 1 Sack Suit was introduced, characterized by a natural shoulder, soft-front construction and straight-leg trousers. With clean lines and quietly precise tailoring, it was—and remains—the distillation of polished refinement. But prior to this, such unstructured tailoring was thought to be unrefined. Brooks brought the look into respectability, legitimizing what was initially a trend. This sophisticated suit carried the Brooks Brothers man from the turn of the twentieth century into the jazz clubs of the Roaring Twenties, through the dark days of the Great Depression, on to college campuses in booming postwar America and forward to the present day. 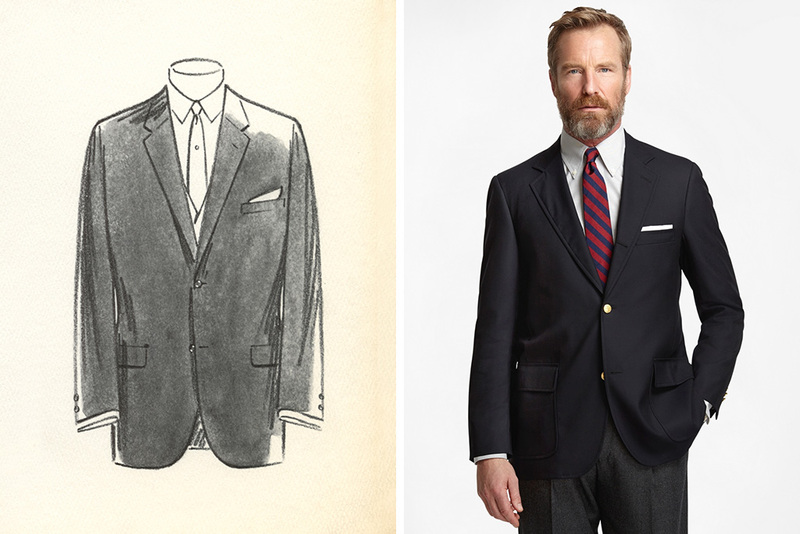 It’s changed little since its introduction more than a hundred years ago, and although imitated by others, few manage to capture the distinctive natural shoulders, rolled lapels and undarted drape of the Brooks Brothers original.